Tolles Hostel, leider kein richtiger Auftenthaltsraum und Küche. Aber falls mal einmal eine Auszeit braucht, genau das richtige. The Hostel Is very cite and the owners muy amables. It‘s 10 min. To walk to the center. We had a Great time there thanks! 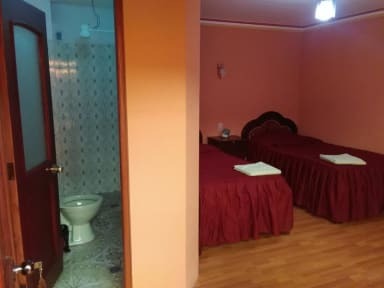 i had a privat room with a hugh bed and privat bath for one night for a perfect price (10 euros.). My room was really comfortable and clean. breakfast is totally okay. 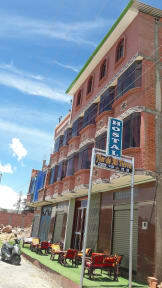 its a quiet hostel near to te lake but like 15 min. far away to walk to the center. Walking there at night is not very recommendable because streets are not lighted. The staff was a bit desorganized but kind and helpful.